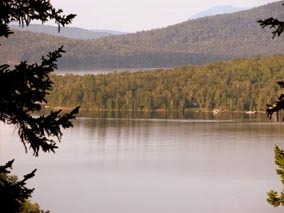 Moosehead Lake Lodging directions to, Moose Mountain Inn in Greenville, Maine. Pitched on the side of Little Moose Mountain in a setting of trees, mountains and wildlife our inn is affords our guests easy access to all the area has to offer. The Moose Mountain Inn is right on route 15 between downtown Greenville and the village of Rockwood and Mt. Kineo. Because of our unique and convenient location our guests enjoy easy access to a wide variety of activities all from one central starting point. When you arrive you will be within a 5 minute drive to…. From Quebec: (3 hours driving time) From Quebec, take Autoroute 73 south to Route 173 south. Follow to the border crossing in Jackman, Maine, USA. 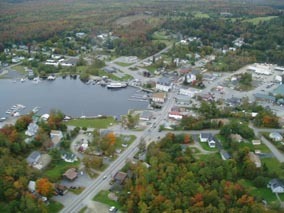 In Jackman, stay on Route 201, through the town of Jackman. Turn left onto Rte 15. 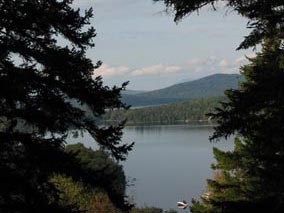 Along Rte 15, you will catch your first glimpse of Moosehead Lake as you reach the town of Rockwood.We are located on your right approximately 18 miles south of Rockwood. Look for the "Greenwood Motel" sign our new sign will be up soon!